What does it mean to be a prophet? Are there still prophets today? Are we all prophets, in a way? 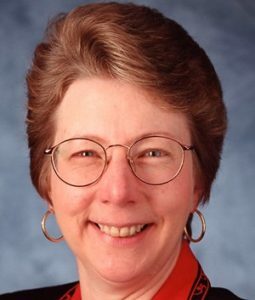 Carol J. Dempsey, OP, Ph.D., will present “Grappling with the Prophetic Tradition in the 21st Century” on campus Wednesday, Oct. 11, at 4 p.m. as part of the Escobedo Saint John’s Bible Lecture Series. Dempsey, Professor of Biblical Studies at the University of Portland, will get inside the heads of the Bible’s ancient prophets who lead us into an understanding of who God is, who Jesus is, who we are, and who we are meant to be in a modern world beset by violence, yet still full of hope. Special attention will be given to the Prophets volume of The Saint John’s Bible to discover how artistic expression illuminates the prophets’ message and vision. The event will be held in Assumption Chapel in Reinbolt Hall. Those traveling to campus are asked to park in Lot V, off Camino Santa Maria; Lot D, near the NW 36th Street entrance; or Lot H, near the Culebra Road entrance. Dempsey earned her bachelor’s degree from Caldwell College, her master’s from St. Louis University, and her doctorate in Biblical Studies from the Catholic University of America, where she studied both Old and New Testament and biblical languages. She has written eight books, the most recent being The Bible and Literature. Her forthcoming books include Isaiah 1-39: Berit Olam Series: Studies in Hebrew Poetry and Isaiah: A Feminist Commentary.